* 15 “The day is coming when you will see what Daniel the prophet spoke about—the sacrilegious object that causes desecration [Read directly below Dan 9:27; 11:31; 12:11] standing in the Holy Place.” (Reader, pay attention!) 16 “Then those in Judea must flee to the hills. 17 A person out on the deck of a roof must not go down into the house to pack. 18 A person out in the field must not return even to get a coat. 19 How terrible it will be for pregnant women and for nursing mothers in those days. 20 And pray that your flight will not be in winter or on the Sabbath. 21 For there will be greater anguish than at any time since the world began. And it will never be so great again. 22 In fact, unless that time of calamity is shortened, not a single person will survive. But it will be shortened for the sake of God’s chosen ones. 26 “So if someone tells you, ‘Look, the Messiah is out in the desert,’ don’t bother to go and look. Or, ‘Look, he is hiding here,’ don’t believe it! 27 For as the lightning flashes in the east and shines to the west, so it will be when the Son of Man [“Son of Man” is a title Jesus used for himself. ] comes. 28 Just as the gathering of vultures shows there is a carcass nearby, so these signs indicate that the end is near. 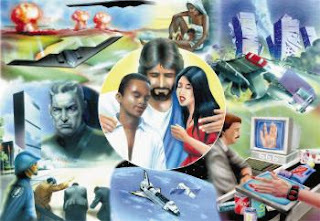 30 And then at last, the sign that the Son of Man is coming will appear in the heavens, and there will be deep mourning among all the peoples of the earth. And they will see the Son of Man coming on the clouds of heaven with power and great glory. 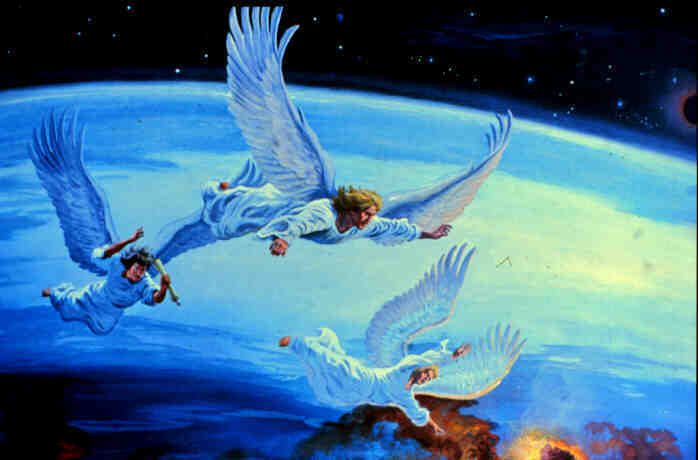 [Dan 7:13] 31 And he will send out his angels with the mighty blast of a trumpet, and they will gather his chosen ones from all over the world —from the farthest ends of the earth and heaven. 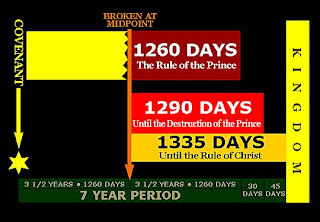 36 “However, no one knows the day or hour [but the "lesson of the fig tree" in verse 32 above tells us we are to know the season] when these things will happen, not even the angels in heaven or the Son himself. Only the Father knows. 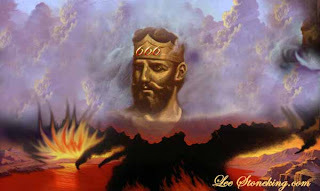 1 In the third year of King Belshazzar’s reign, I, Daniel, had a vision, after the one that had already appeared to me. 2 In my vision I saw myself in the citadel of Susa in the province of Elam; in the vision I was beside the Ulai Canal. 3 I looked up, and there before me was a ram with two horns, standing beside the canal, and the horns were long. One of the horns was longer than the other but grew up later. 4 I watched the ram as he charged toward the west and the north and the south. No animal could stand against him, and none could rescue from his power. He did as he pleased and became great. 9 Out of one of them came another horn, which started small but grew in power to the south and to the east and toward the Beautiful Land. 10 It grew until it reached the host of the heavens, and it threw some of the starry host down to the earth and trampled on them. [Revelation 12: 7-9, 12-13] 11 It set itself up to be as great as the Prince of the host;[Jesus] it took away the daily sacrifice from him, and the place of his sanctuary was brought low. 12 Because of rebellion, the host of the saints and the daily sacrifice were given over to it. [Revelation 13: 5-10] It prospered in everything it did, and truth was thrown to the ground. 19 He said: “I am going to tell you what will happen later in the time of wrath, [Those in heaven do not use the term wrath until after the 7th trumpet judgement Revelation 10:7, 11:18, 14:10,19, 15:1,7, 16:1-21] because the vision concerns the appointed time of the end. 20 The two-horned ram that you saw represents the kings of Media and Persia. 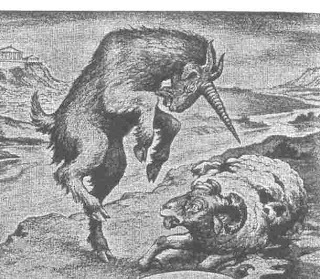 21 The shaggy goat is the king of Greece, and the large horn between his eyes is the first king. 22 The four horns that replaced the one that was broken off represent four kingdoms that will emerge from his nation but will not have the same power. 28 “ The king of the north will then return home with great riches. On the way he will set himself against the people of the holy covenant, doing much damage before continuing his journey. 1 Now, dear brothers and sisters, let us clarify some things about the coming of our Lord Jesus Christ and how we will be gathered to meet him. 2 Don’t be so easily shaken or alarmed by those who say that the day of the Lord has already begun. Don’t believe them, even if they claim to have had a spiritual vision, a revelation, or a letter supposedly from us. 3 Don’t be fooled by what they say. For that day will not come until there is a great rebellion against God and the man of lawlessness [or man of sin] is revealed—the one who brings destruction. 4 He will exalt himself and defy everything that people call god and every object of worship. He will even sit in the temple of God, claiming that he himself is God. 1 And the dragon stood on the shore of the sea. The Beast out of the Sea [AntiChrist] And I saw a beast coming out of the sea. 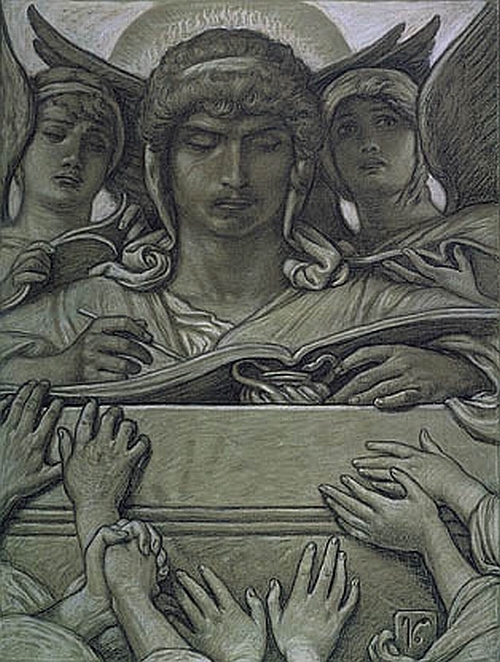 He had ten horns and seven heads, with ten crowns on his horns, and on each head a blasphemous name. 2 The beast I saw resembled a leopard, but had feet like those of a bear and a mouth like that of a lion. The dragon [Satan: Read Revelation 12: 9] gave the beast his power and his throne and great authority. 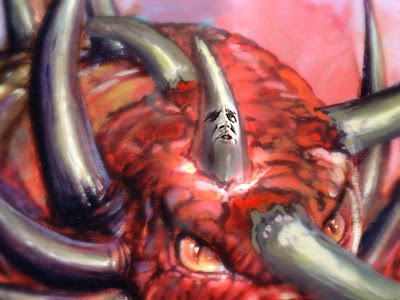 3 One of the heads of the beast seemed to have had a fatal wound, but the fatal wound had been healed. The whole world was astonished and followed the beast. 4 Men worshiped the dragon because he had given authority to the beast, and they also worshiped the beast and asked, "Who is like the beast? Who can make war against him?" 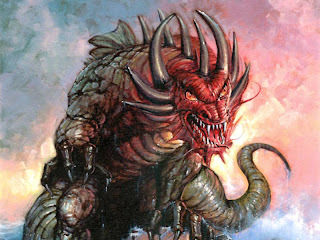 5 The beast was given a mouth to utter proud words and blasphemies and to exercise his authority for forty-two months. 6 He opened his mouth to blaspheme God, and to slander his name and his dwelling place and those who live in heaven. 7 He was given power to make war against the saints and to conquer them. And he was given authority over every tribe, people, language and nation. 8 All inhabitants of the earth will worship the beast—all whose names have not been written in the book of life belonging to the Lamb [ Jesus] that was slain from the creation of the world. 10 If anyone is to go into captivity, into captivity he will go. If anyone is to be killed with the sword, with the sword he will be killed. This calls for patient endurance and faithfulness on the part of the saints [believers] . 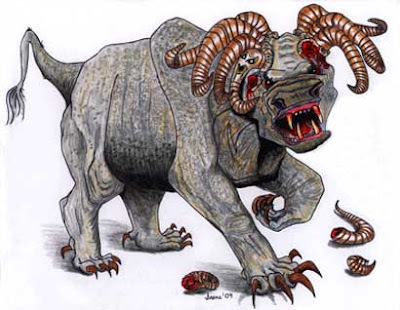 The Beast out of the Earth [False Prophet] 11 Then I saw another beast, coming out of the earth. He had two horns like a lamb, but he spoke like a dragon. 12 He exercised all the authority of the first beast on his behalf, and made the earth and its inhabitants worship the first beast, whose fatal wound had been healed. 13 And he performed great and miraculous signs, even causing fire to come down from heaven to earth in full view of men. 14 Because of the signs he was given power to do on behalf of the first beast, he deceived the inhabitants of the earth. He ordered them to set up an image in honor of the beast who was wounded by the sword and yet lived. 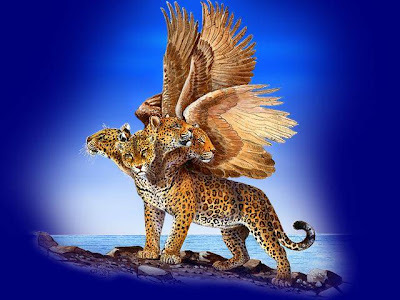 15 He was given power to give breath to the image of the first beast, so that it could speak and cause all who refused to worship the image to be killed. 16 He also forced everyone, small and great, rich and poor, free and slave, to receive a mark on his right hand or on his forehead, 17 so that no one could buy or sell unless he had the mark, which is the name of the beast or the number of his name. 6 Then I saw another angel flying in midair, and he had the eternal gospel to proclaim to those who live on the earth—to every nation, tribe, language and people. 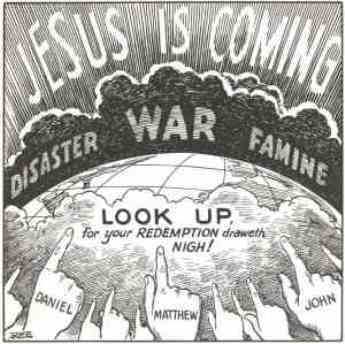 7 He said in a loud voice, "Fear God and give him glory, because the hour of his judgment has come. Worship him who made the heavens, the earth, the sea and the springs of water." 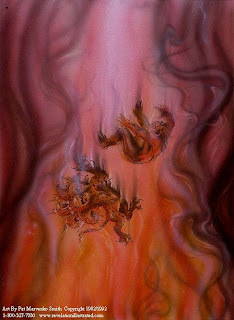 9 A third angel followed them and said in a loud voice: " If anyone worships the beast and his image and receives his mark on the forehead or on the hand, 10 he, too, will drink of the wine of God's fury, which has been poured full strength into the cup of his wrath. He will be tormented with burning sulfur in the presence of the holy angels and of the Lamb. 11 And the smoke of their torment rises for ever and ever. There is no rest day or night for those who worship the beast and his image, or for anyone who receives the mark of his name." 12 This calls for patient endurance on the part of the saints who obey God's commandments and remain faithful to Jesus. 1 Earlier, during the first year of King Belshazzar’s reign in Babylon, [The first year of Belshazzar’s reign (who was co-regent with his father, Nabonidus) was 556 b.c. (or perhaps as late as 553 b.c.).] Daniel had a dream and saw visions as he lay in his bed. He wrote down the dream, and this is what he saw. 2 In my vision that night, I, Daniel, saw a great storm churning the surface of a great sea, with strong winds blowing from every direction. 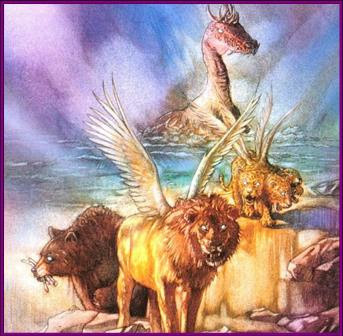 3 Then four huge beasts came up out of the water [Read Revelation 14:1 above], each different from the others. 8 As I was looking at the horns, suddenly another small horn appeared among them. Three of the first horns were torn out by the roots to make room for it. This little horn had eyes like human eyes and a mouth that was boasting arrogantly [Read Revelation 13:5 above]. 11 I continued to watch because I could hear the little horn’s boastful speech. I kept watching until the fourth beast was killed and its body was destroyed by fire. 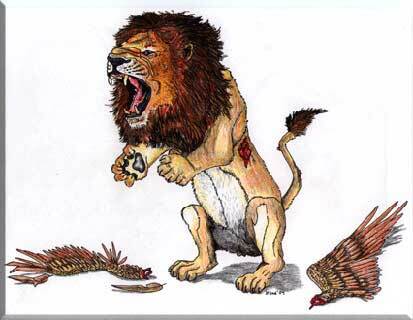 12 The other three beasts had their authority taken from them, but they were allowed to live a while longer [Aramaic for a season and a time]. 13 As my vision continued that night, I saw someone like a son of man [Or like a Son of Man- a Name Jesus used for himself] coming with the clouds of heaven. He approached the Ancient One and was led into his presence. 14 He was given authority, honor, and sovereignty over all the nations of the world, so that people of every race and nation and language would obey him. His rule is eternal—it will never end. His kingdom will never be destroyed. 19 Then I wanted to know the true meaning of the fourth beast, the one so different from the others and so terrifying. 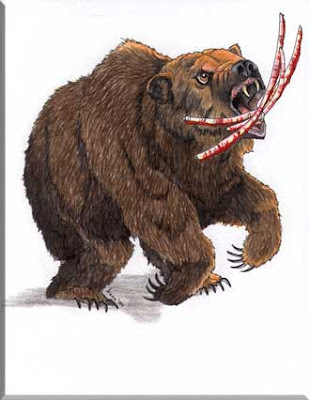 It had devoured and crushed its victims with iron teeth and bronze claws, trampling their remains beneath its feet. 20 I also asked about the ten horns on the fourth beast’s head and the little horn that came up afterward and destroyed three of the other horns. This horn had seemed greater than the others, and it had human eyes and a mouth that was boasting arrogantly. 21 As I watched, this horn was waging war against God’s holy people and was defeating them [Read Revelation 13:7 above] , 22 until the Ancient One—the Most High—came and judged in favor of his holy people. Then the time arrived for the holy people to take over the kingdom. 23 Then he said to me, “This fourth beast is the fourth world power that will rule the earth. It will be different from all the others. It will devour the whole world, trampling and crushing everything in its path. 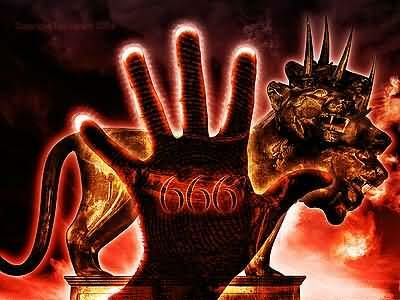 24 Its ten horns are ten kings who will rule that empire. Then another king will arise, different from the other ten, who will subdue three of them. 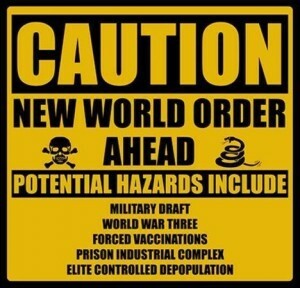 25 He will defy the Most High and oppress the holy people of the Most High. He will try to change their sacred festivals and laws, and they will be placed under his control for a time, times, and half a time [3 1/2 years] .